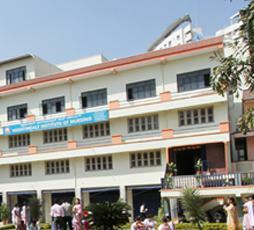 Nightingale Institute of Nursing was established in the year 2003 under the Chairmanship of Sri. G.S. Basavaraj, the Hon’ble Member of Parliament, Tumkur. The institution runs under the auspices of Sri Channabasaveshwara Swamy Rural Education Society, Tumkur. I feel so proud to be a student of this institution. Its studying environment, loving and caring ..
It’s my great pleasure to be a part of Nightingale Institution. The education system is ver..
Its my pleasure to study in Nightingale Group of Institution. I have already passed one year and .. It was indeed a confusing situation to search for a good nursing college with all the best facili.. I feel very lucky and proud to be a student of Nightingale. I have found the tranquil environment.. I joined here with great anticipation, but it was more than my expectation. The learning experien.. I heard a lot about the institution from my seniors. I joined here with great anticipation. My an..
Clients were given uniforms and client’s children were given school bags, stationary items, note books. Nursing has acquired the status of reputed profession in today’s world , in which the awareness of holistic health care system is nurtured progressively. Students are prepared in their final year in the aspects of resume preparation, tips to face the interviews by sessions and one to one contact study. This would help the student to arrive at intelligent and optimal decisions about their future. The institution has tie up with giant hospitals like CARE Hospitals, Manipal Hospital, Narayana Hrudalaya, UK Hospitals, Chennai and Apollo Groups etc. She joined this college in the year 2003 as Principal. She is promoted as Dean of Nightingale Groups. She strongly believes “Nursing as a Profession of Compassion” .